Glycosidases, including β-d-glucosidase, are involved in a variety of metabolic disorders such as diabetes, viral or bacterial infections and cancer. Accordingly, we were prompted to find new β-d-glucosidase inhibitors. Towards this end we scanned the pharmacophoric space of this enzyme using a set of 41 known inhibitors. 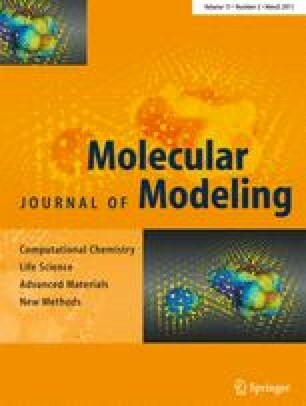 Genetic algorithm and multiple linear regression analyses were employed to select an optimal combination of pharmacophoric models and physicochemical descriptors to yield self-consistent and predictive quantitative structure-activity relationship (QSAR). Three pharmacophores emerged in the QSAR equations, suggesting the existence of more than one binding mode accessible to ligands within the β-d-glucosidase pocket. The successful pharmacophores were complemented with strict shape constraints in an attempt to optimize their receiver-operating characteristic (ROC) curve profiles. The validity of the QSAR equations and the associated pharmacophoric models were established experimentally by the identification of several β-d-glucosidase inhibitors retrieved via in silico search of two structural databases, namely the National Cancer Institute (NCI) list of compounds, and our in-house structural database of established drugs and agrochemicals (DAC). The online version of this article (doi: 10.1007/s00894-010-0737-1) contains supplementary material, which is available to authorized users. This work has been financially supported by the Deanship of Scientific Research at the University of Jordan; this support is highly acknowledged.